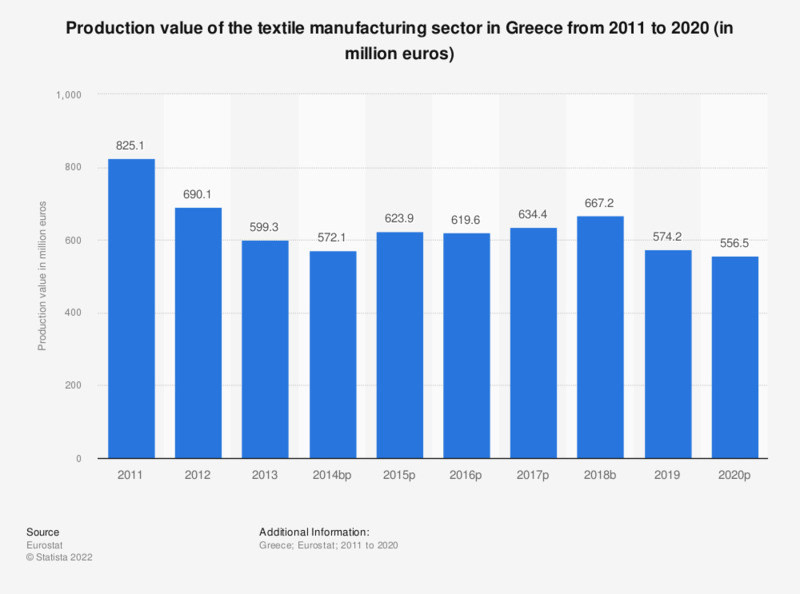 This statistic shows the annual production value of the textile manufacturing sector in Greece from 2008 to 2015. In 2015, the production value of the Greek textile manufacturing sector amounted to approximately 624.7 million euros. * Break in time series, provisional data.